The temperatures in NYC have been ridiculously low and my Puerto Rican blood is not warm or happy. 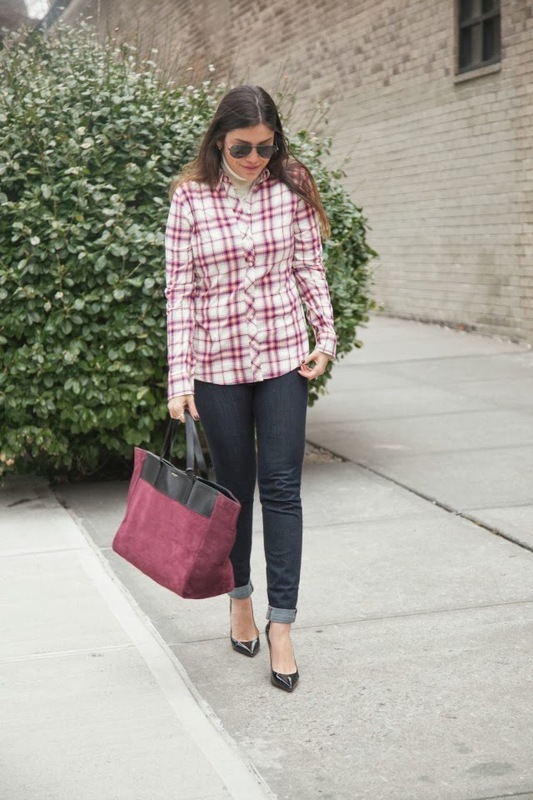 Layering pieces has become a serious necessity due to the weather and I've gotten into the habit of layering a simple turtleneck under my favorite plaid shirts. This layering keeps you super warm without the usual bulky layered look that a chunky sweater gives. Another exciting thing about this post? 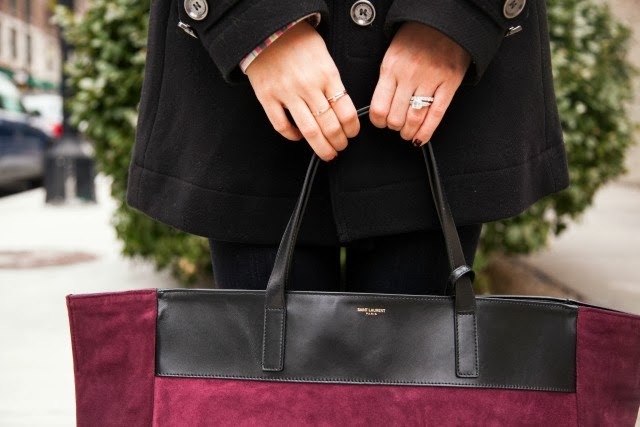 My Saint Laurent reversible shopper tote! 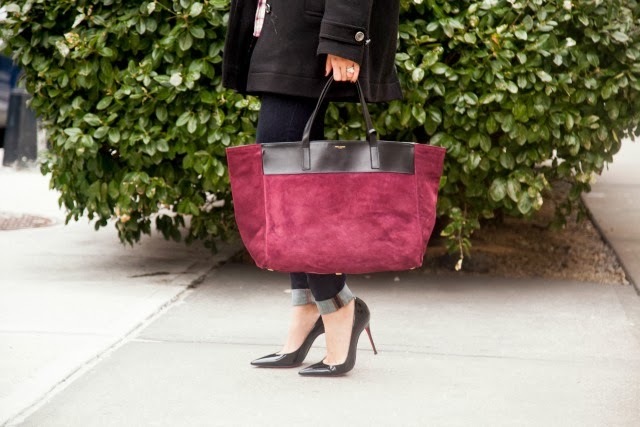 My handbag collection doesn't include very many non-neutral colors so this suede and leather burgundy beauty was a great addition. Plus I scored it at Saks for a ridiculous sale price during the Black Friday madness. Looking for some other ridiculously good sale finds? Check out Saks Designer Sale and Nordstrom's! You still have one more day to order and get your items by Christmas Eve! I used to use this look so much some years ago...so cozy.....love the bag!